Excellence Award reflects Associated’s cultural awareness efforts. 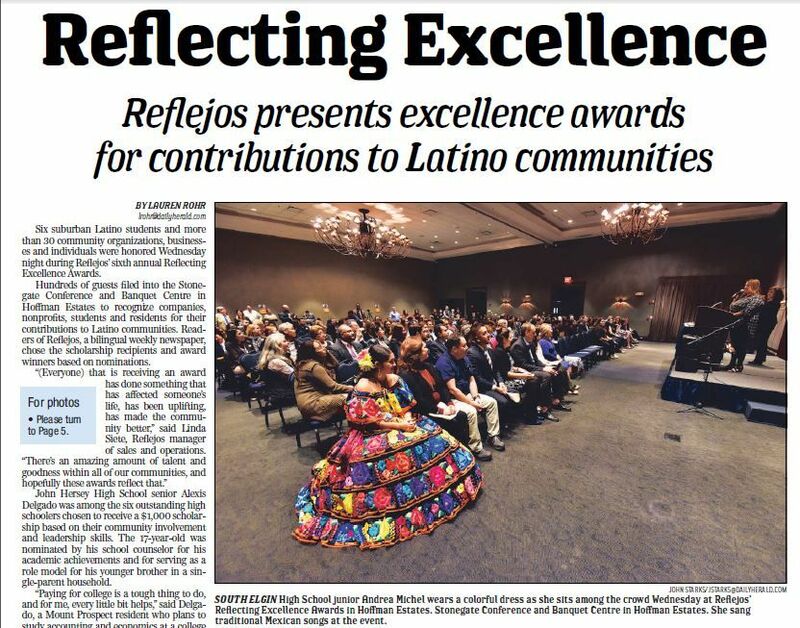 On Nov. 1, six suburban Latino students and more than 30 community organizations, businesses and individuals were honored during Reflejo’s sixth annual Reflecting Excellence Awards. Hundreds of guests filed into the Stonegate Conference and Banquet Centre in Hoffman Estates, Ill., to recognize companies, nonprofits, students and residents for their contributions to Latino communities. Readers of Reflejos, a bilingual weekly newspaper, chose the scholarship recipients and award winners based on nominations.